Our product range includes a wide range of manual resuscitator ambu bag, artificial resuscitator, lma fastrach, nasopharyngeal airways, reinforced endotracheal tube and flexometallic endotracheal tube. 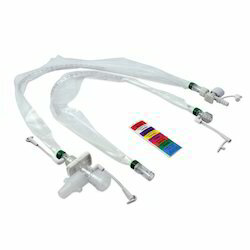 Designed for anticipated or unanticipated difficult airway situations and for cardiopulmonary resuscitation, the LMA Fastrach™ facilitates continuous ventilation during intubation, lessening the likelihood of desaturation. Special design features of the LMA Fastrach™ that facilitate intubation, blind or fiber optic includes rigid, anatomically curved, airway tube that is wide enough to accept an 8.0 mm cuffed ETT and is short enough to ensure passage of the ETT cuff beyond the vocal cordsRigid handle to facilitate one-handed insertion, removal, and adjustment of the device's position to enhance oxygenation and alignment with the glottis. 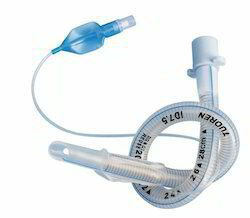 We are leading exporter of Nasopharyngeal Airways. 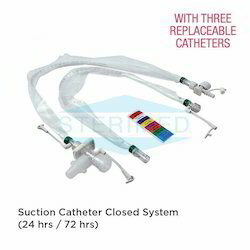 We are leading trader of a wide range of Reinforced Endotracheal Tube. A flexible and transportable design lets you decide when to plug in for therapy or to take advantage of battery-powered freedom. 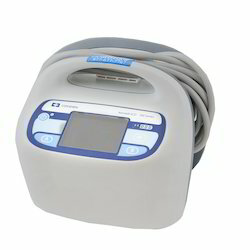 Integrated lithium ion battery and hospital-grade power cord. Battery supplies up to 8 hours of uninterrupted compression. Easy to transport with a small footprint and light- weight 5 lb. design. Ergonomic handle and integrated versatile bed mount. The LMA Classic™ was first introduced in the U.K. in 1988 and in the U.S. in 1992 as an alternative to the face mask. Since 1988, it is estimated that the LMA Classic™ has been used in over 100 million patients worldwide. The LMA Classic™ is used in nearly every hospital in the U.S. and has the widest range of sizes (8), from neonates to large adults. The LMA Classic™is ideally suited for elective, outpatient surgical procedures. It is most often used in spontaneously breathing patients, but can also be used with assisted and controlled ventilation up to 20 cm H20. 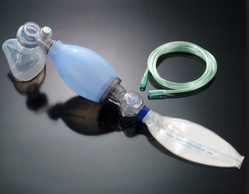 Even though it is called the "routine-use" LMA™ airway, it has been used successfully in many urgent and emergency situations, including difficult airways and adult and neonatal resuscitation. The LMA Classic™ owes its success in resuscitation to the ease with which clinicians learn to use the device and long term retention of that learning even if the device is used infrequently. The LMA Classic™is also available in a disposable version called the LMA Unique™. Confidently extending LMA Proseal benefits to more of your patients. We understand that clinicians sometimes select an ET tube for optimum airway protection when LMA™ patient-friendly characteristics would be desirable. To enhance supraglottic airway protection and extend LMA™ benefits to a greater number of patients we developed the LMA ProSeal™. 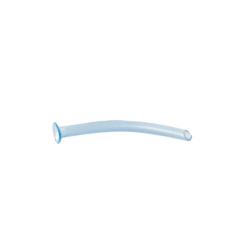 This reusable airway has a cuff that is made of a softer material than the LMA Classic™ and is designed to conform to the contours of the hypopharynx. While the LMA ProSeal™ may be used with spontaneously breathing patients, it is designed for use with PPV, with and without muscle relaxants. The maximum airway seal pressure will vary between patients, but is on average 50% higher than the LMA Classic™ or up to 30 cm H20. The Stabilizer Rod is used during removal of the LMA Fastrach after intubation to keep the ETT in place.